We’re excited to inform you that on the Feast of Saint Francis de Sales, co-founder of the Visitation Order, our patroness Leonie Martin will receive the title Servant of God at a Mass celebrated by Monsignor Jean-Claude Boulanger of the Diocese of Bayeux-Lisieux. 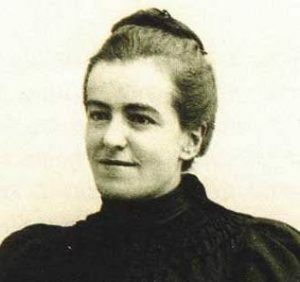 Mgr Boulanger will formally open the process for her beatification on Saturday the 24th of January in the Monastery of the Visitation in Caen, in which Leonie – Sister Francoise-Therese – lived from 1899 until her death in 1941. According to the French news website www.ouest-france.fr, it is also a possibility that Blesseds Louis and Zelie Martin, the parents of Saint Therese, will be canonized this year at the conclusion of the Synod on the Family in October. We’ll bring you any further updates on this as we find them! Here at Leonie’s Longing, we are under the special patronage of the Martin family, particularly its “black sheep” Leonie, and the Church’s recognition of her holiness is a sign of hope for all of us as we overcome the same struggles in discernment that she faced over a hundred years ago. The patron of the awkward, the naturally contrary, those whose personalities didn’t quite “fit” in the convent, those who didn’t get it right the first time (or the second, or the third) but somehow keep crashing their way up the narrow path that leads to heaven – she is the one who is being honoured today with the title Servant of God. Having struggled her entire adult life to keep an explosive temper under control, making retreat resolutions year after year to become more gentle and humble, Leonie would have been amused and deeply embarrassed had anyone suggested in her lifetime that others might one day pray to her for help – and she would, beyond doubt, only have accepted a title from the Church for the sake of those who would embrace her as a patroness, and not for her own prestige. Let us pray that the process begun today may reach its fullness in the declaration that Leonie Martin is numbered among the Saints in Heaven, and let us ask her intercession as we, too, search for the vocations to which God has called us as His beloved children. Servant of God, Sister Francoise-Therese Martin, pray for us! Blesseds Louis and Zelie Martin, pray for us!